Students get the chance to refine patient interaction skills by working at the TRU Sleep Centre Clinic. 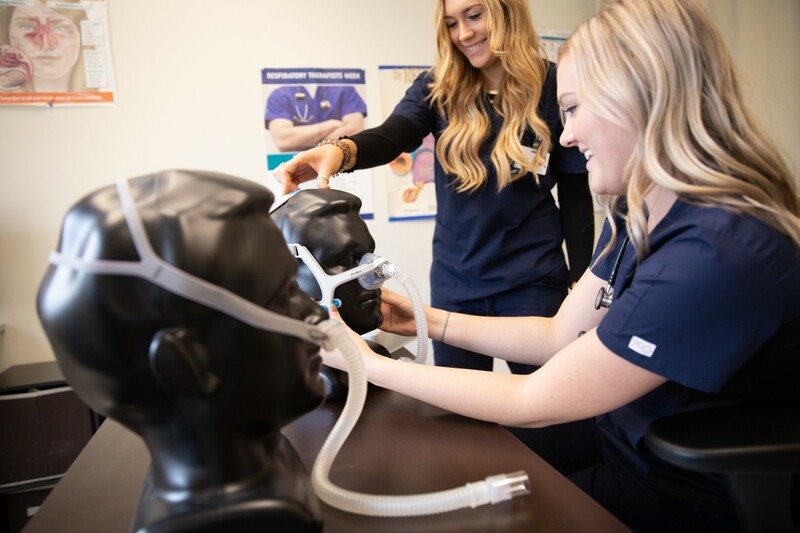 Respiratory therapy students working to diagnose sleep disorders and connect community members with proper treatment just got busier. 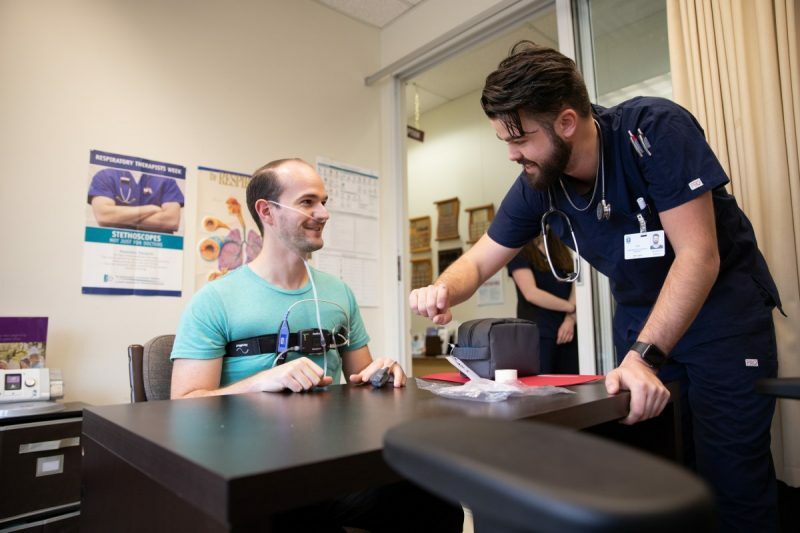 The TRU Centre for Respiratory Health and Sleep Sciences (TRU Sleep Centre Clinic) recently boosted their capacity and are now able to see six patients per day. Breathing disorders like sleep apnea can cause morning headaches, forgetfulness and lack of energy during the day. Many affected by sleep disorders are unaware of their condition, says Respiratory Therapy faculty member and clinic facilitator Aaron Ladd. “About 10% of the population has disordered breathing or another kind of sleeping issue. Of those people with a sleeping disorder, 80% are living undiagnosed. We are more efficiently diagnosing people who have been suffering for a long time. We have 80 students working and making a difference in these clients’ quality of life,” Ladd said. 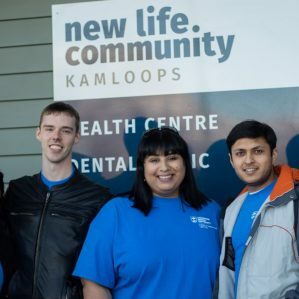 The clinic provides a free service to people from throughout the BC Interior suffering from disordered sleep, while also preparing students for a career in health care. 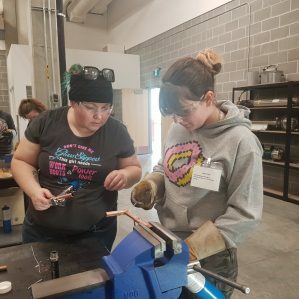 “Working in the clinic is a valuable part of this program because, without it, we wouldn’t get a lot of patient interaction throughout our education. 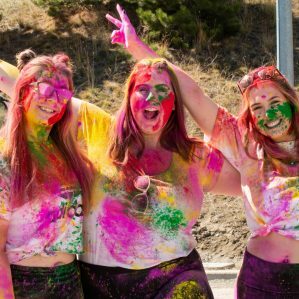 It can be hard to transition into a hospital right after graduation and this gives us the opportunity to really fine-tune our patient interaction skills,” said Lexi Reichel, third-year Bachelor of Health Science and Respiratory Therapy diploma. The clinic is open Monday to Thursday from 1 to 5:30 p.m. in the Ken Lepin Science and Health Sciences Building, room S301. Patients with a doctor or nurse practitioner referral can call 250-371-5952 for an appointment.